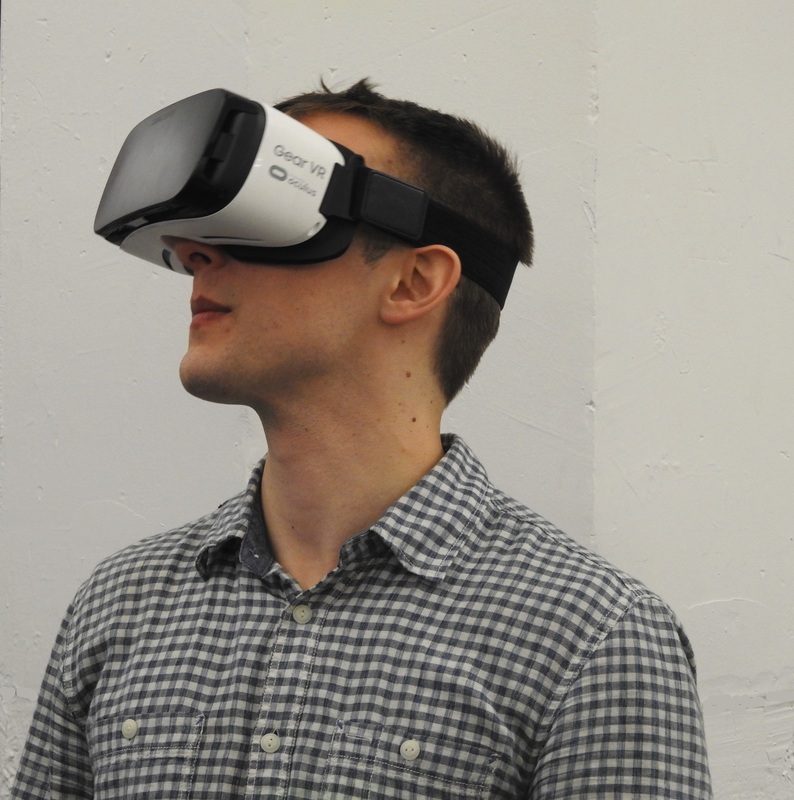 Home / Blogs / Instructional Design / Is Virtual Reality the Next Trend in Education? Is Virtual Reality the Next Trend in Education? In Palo Alto, CA to discuss how to further the possibilities of VR in areas outside of games. Participants were asked to fill out an application detailing what they thought was missing in the VR space, and how they feel they could best contribute to the field. 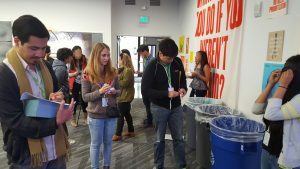 I was one of those 100 participants invited out to Facebook for a day of workshops and support from the Oculus team to try to develop a tool in VR, in my case a visualization tool for our Data Science program. My involvement with the Launch Pad program was to determine ways in which to best use VR in the field of education, more notably in the area of statistics. Using VR could provide a more interesting way to reveal the detail behind the numbers, as we have seen that visualization of data can be very important to tell a story. Applications such as Tableau and Gapminder are already showing us how to best portray data and its true weight to an audience, and this TED talk by Hans Rosling is a must see if you’re interested in learning more about the importance of these programs. The idea of how to leverage the inspiration of tools such as these as a VR experience is a challenge, but we feel an interesting one to give students in our Data Science program and others another way to make data meaningful. 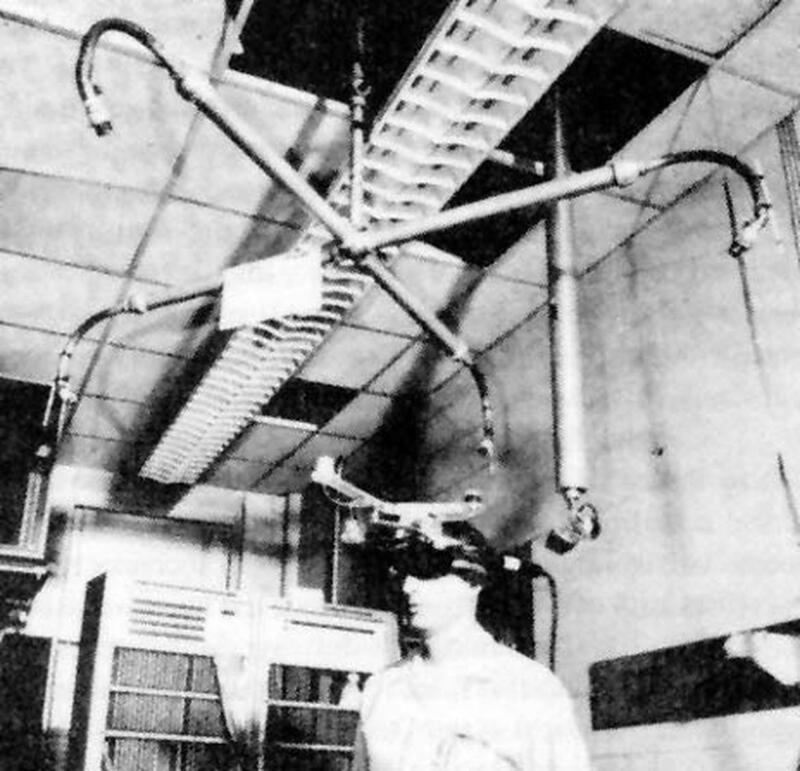 The concept of VR is that someone can enter an artificial environment with supporting equipment which tries to replicate an environment or an experience at a higher level of immersion. In short, VR tries to make the person using special equipment feel as if they are actually in that environment. 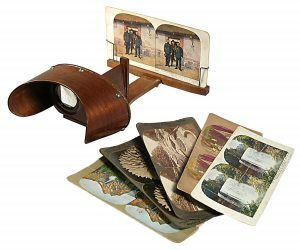 While VR sounds like a futuristic concept (think of the holodecks from Star Trek), the idea has actually been around since the early 1800’s. One of the first inventions, the stereoscope, allowed those who looked through the viewer to see two of the same images with one slightly skewed, tricking the user into seeing depth. Various inventions have come and gone since then. Some inventions kept the idea of the headsets, others have been large units that the person either had to step into as seen in some arcades, or becomes immobile as in the “Sword of Damocles” VR apparatus in the sixties and the virtuality series of VR machines that are common in game arcades. The Launch Pad’s workshop sessions were devoted to how to develop an app in VR from initial idea to distribution. Using the freely available Unity Engine, we were guided through how to make a simple VR experience and how to handle some of the technical requirements of VR using Unity. The Head of Education of Oculus Story Studio gave a talk on how to incorporate story into VR and considerations developers need to think about when developing for an audience such as making sure the person in the experience is actually looking at what you want them to see, and how to provide an emotional tone to a story and the difficulties of doing that in VR. This portion of the workshop included talks from developers of the VR filmmaking group VRSE, and how to use VR as a news reporting and storytelling tool. We had a talk on the science behind developing in VR, including how to plan movement for the user without making them sick, and how to think about developing in VR from user interfaces to the proper frame rate on phones versus headsets. Ashton Kennedy & Veena Reddy from ConverseVR, Alejandro Quan-Madrid at Aquma4livez.com, and Dennis Paiz-Ramirez from dennisisawesome.com at Oculus Launch Pad. Game developers from Oculus then had us do an impromptu User Interface and Experience (UI and UX, respectively) “jam” where we had a few minutes to try to develop a VR experience and how to consider placement of elements in the space. The events of the day were incredibly exciting, and definitely gave me and the other participants motivation to use these tools in our professions. I felt as if VR had a very real possibility for educational purposes, and that this technology, if used correctly, has a fighting chance to stay. With that said, we also have to be wary of the possibilities that this new tech tool could join a long list of other types of technology used in education that became a fad that quickly burnt out. 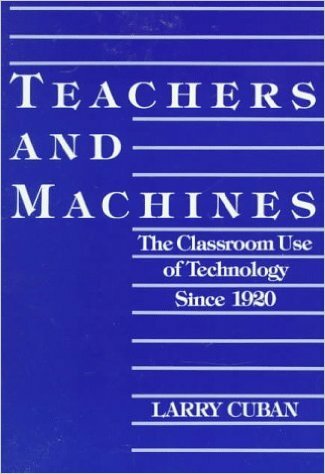 Larry Cuban’s excellent work; Teachers and Machines: The Classroom Use of Technology Since 1920, discusses how educational institutions frequently incorporate new technology in instruction, only to find they have few proven methods in which to use them. 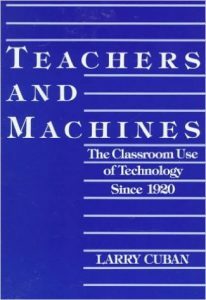 One of the problems cited in the book, that honestly still persists today, is that newer technologies get quickly accepted by the early adopters, and then are given to teachers with little to no experience with the technology, where they usually fail to gain traction. There are already a large assortment of technologies out there that are in little use. VR does have the possibility of becoming such a technology, and a very expensive one on top of it all. With headsets starting at $400 and some of the higher end systems costing upwards of $800, not including the cost of a computer that has to be capable enough to run VR, you’re looking at a very expensive introduction for educators. But there are factors previously unavailable that may help VR get that push into mainstream use, including the use of mobile technologies used as “starter” VR platforms. Palmer Luckey, founder of Oculus, gave closing remarks at the end of the Launch Pad workshop that included how if VR is to survive they have to start with those who are unsure about VR, want to try, but don’t have the money for the large kits. As he inferred in his talk, those who are buying the Oculus Rift or the HTC Vive are already going to purchase the set anyway. As a gamer, I can agree that the prospect of playing some of my games in VR has long been a dream, so I’m much more inclined to pay the money for the experience; but not everyone feels that way. To help generate interest in VR from those who may not have the money or the inclination for the large setups and cost, Oculus and Samsung developed the Gear VR, an Oculus “lite” that can be activated by using a Galaxy smart phone. With that in mind, everyone who attended the workshop received a free Gear VR and Galaxy S6 so that we could start developing apps with the mobile market in mind. With studies showing youth have more access to smart phones than to computers at home, it’s an easier buy-in to purchase a $100 headset to use with the phone they already have rather than trying a potentially costly endeavor that may not even work. Also to speak to a well-documented point that teachers are usually cautious, rightly so, to include experimental tech into curriculum without being able to experiment first; teachers can now experiment first with their mobile phones that they already own before deciding whether to use this in their classroom. There is no reason to call VR the tech panacea in the field of education, news reporting, gaming, or immersive experiences; there’s not enough evidence to make that conclusion. Yet, the whole point of the Launch Pad was to bring together a diverse body of professionals from game development, news reporting, visual arts, instructional design, and other fields because the whole idea is that no one really knows the boundaries of what VR can, and cannot, do. It is why the Oculus team has given those who attended Launch Pad access to their development team and tech support via a private user forum, and why the closed Facebook group has been a bustling source of not only support, but other resources related to VR use in other contexts. Over the upcoming weeks me and a small team of talented developers here at CEOEL will be trying to create a tool useful for statisticians to visualize data in VR. We will provide an updates as the project move along. I like how you mention that using VR could be a great way to teach statistics, seeing as it could be a great way to tell the story of the numbers. My sister is actually a statistics teacher and has been wondering what new educational fads could help her teach her students in a better way. I will have to mention this article to her so she can see the benefits of virtual reality for teaching.